As Vice President for Campus Safety and University Operations, Mike Seamon is responsible for the Division of Campus Safety and University Operations which includes the Notre Dame Police Department (NDPD), the Notre Dame Fire Department (NDFD), the Office of Risk Management & Safety, Emergency Management, Building Services, Warehouse Delivery and Transportation, the Office of Sustainability, Land O’Lakes and other operations vital to the life of Notre Dame. Mike is also responsible for all operations related to home football game weekends. 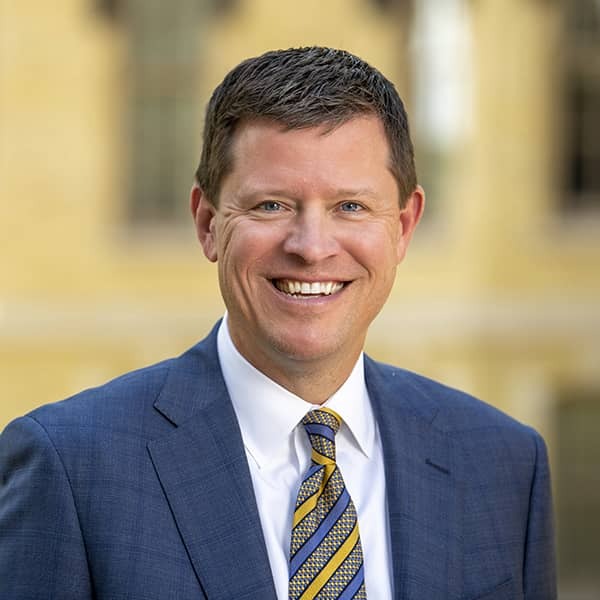 Since returning to his alma mater in 1997, Mike has also served in a variety of leadership roles in Event Management, University Relations, the Office of the Executive Vice President, the Finance Division, and the Business Operations Division. Prior to returning to Notre Dame in 1997, Mike was hired as the second employee of the newest Major League Baseball franchise, the Tampa Bay Devil Rays, as Director of Sales and Marketing. While with the Devil Rays, Mike oversaw the sale of season tickets, private suites, and skyboxes. He also played integral roles in public relations and numerous major sponsorship agreements. Mike designed and introduced the team’s inaugural merchandise line and was involved in the $80 million renovation to Tropicana Field. A native of Grand Rapids, Michigan, Mike resides in South Bend and is involved in a variety of community activities. He currently serves on the LOGAN Center’s Board of Directors. Mike is a graduate of the South Bend/Mishawaka Leadership Program, has served as the chair of the Logan Center’s Foundation Board of Trustees, and has served on the Board of Directors for the Boys & Girls Club of St. Joseph County.